match the surrounding mountains in terms of inspiration and determination.DevDenver is one of the most sought-after cities in the world. On travels throughout Asia it’s not uncommon to meet young students and professionals who dream of making the move to the Mile High City. The draw? Why, the magnificent mountains, of course! The rocky peaks that serve as Denver’s natural backdrop are a physical embodiment of achievement – every time you see them, you’re reminded of what it means to reach further, go higher, and achieve more than you ever thought possible. The perfect Denver Motivational Keynote Speaker is able to rival the Rockies by inspiring their audience to reach higher than the mountains. A Denver Keynote Speaker is also able to appeal to the grounded, practical side of Denver audiences by offering sound business advice and sales tactics steeped in proven experience. Hiring a fluffy, razzle-dazzle Keynote Speaker in Denver would be like having a mountain peak without the base. Without a solid foundation beneath inspiration, a Denver Keynote Speaker’s message will just be lost in the clouds. 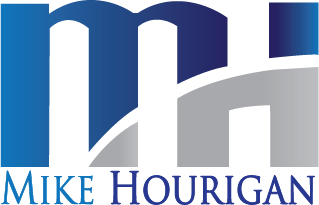 Mike Hourigan is Denver Keynote Speaker, Author and Consultant who specializes in negotiation skills, change management and sales skills. Contact Denver Keynote Speaker Mike at 704-875-3030, 888-PRO-KEYNOTE fill out the form below.